Fisher says his sister Katie was killed in Baltimore on June 19, 2010, when her car was struck by an underinsured driver who apparently ran a red light. The insurance company of the at-fault driver paid out Katie’s estate "basically immediately" but Progressive refused to pay out the difference. Maryland state law prohibits individuals from suing an insurance company for refusing to pay, so Fisher and his family had to sue his sister’s killer. The ultimate shock came when Fisher arrived at the hearing, he saw that "the guy who killed my sister was defended by Progressive's legal team." "If you are insured by Progressive, and they owe you money, they will defend your killer in court in order to not pay you your policy." 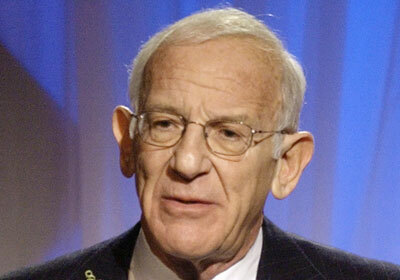 Progressive Insurance chairman Peter Lewis spent $25 million to defeat Bush in 2004. A generous donor to left-wing causes, he left the Democracy Alliance last spring. This entry was posted in Politics and tagged Democratic Donors, Maryland, Peter Lewis. Bookmark the permalink.